This is the dessert on my Christmas Menu 2015, on this blog. Set the oven to heat to 175°C (or 350°F). In a mixing bowl, combine the almond flour, salt, and cinnamon, stirring to distribute the ingredients uniformly throughout. Place the butter in a small bowl and soften it in the microwave. 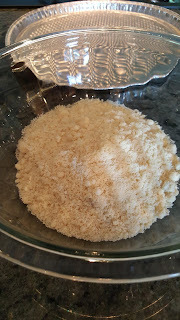 Add the stevia to the butter and stir to distribute it evenly throughout. 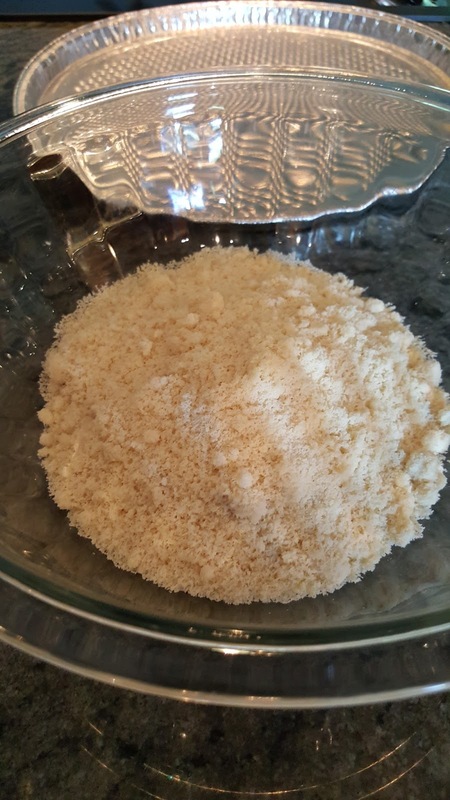 Mix the butter mixture into the almond flour mixture with a spatula until it has a consistency like a grainy dough. Butter or oil a suitable baking pan, about 25 to 30 cm (or 10 to 12 inches) in diameter. 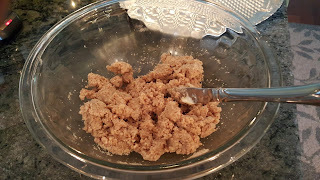 Pat and press the almond flour mixture into the pan. 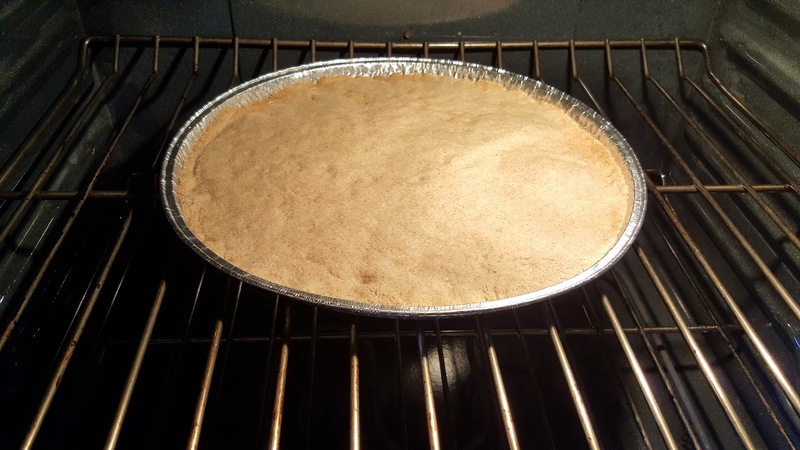 Bake the almond flour crust in the oven for 10 minutes, then remove it immediately but leave the oven on. Place the chèvre into a mixing bowl and whisk it until it is light and airy. Add the stevia, vanilla, and lime juice and whisk again until it is homogeneous. Add the eggs and whisk or beat the mixture until the eggs are completely incorporated into the lime-chèvre mixture. 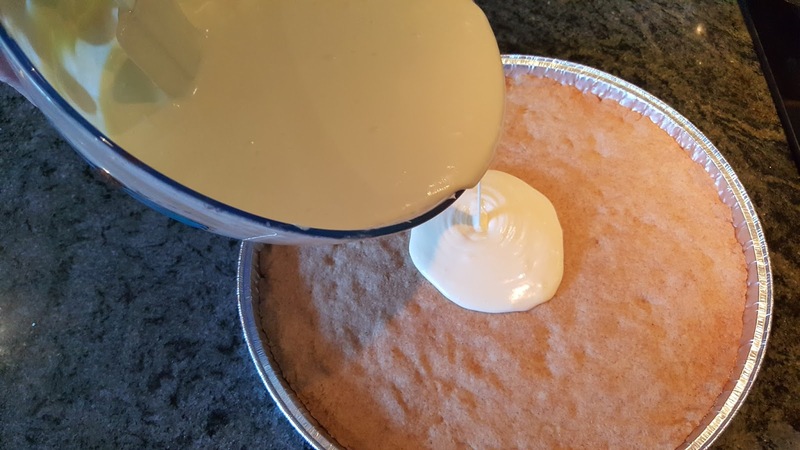 Pour the lime-chèvre mixture into the baking pan, on top of the almond flour crust. Place the tart into the oven and bake it at 175°C (or 350°F) for 30 minutes. 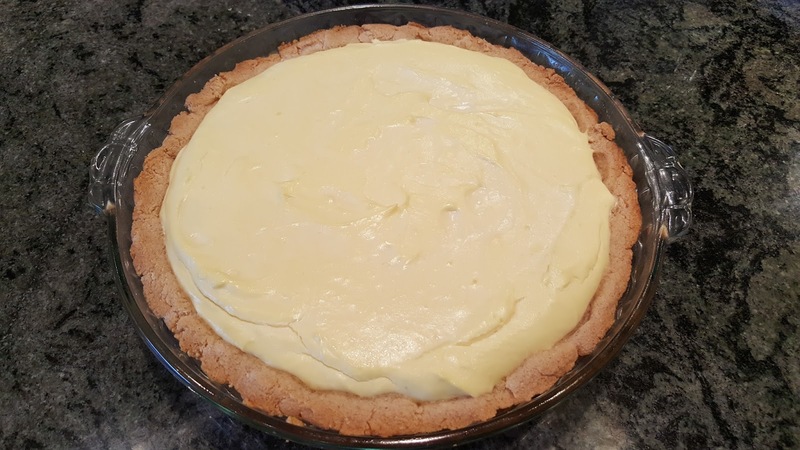 After 30 minutes, remove the tart from the oven and allow it to cool to room temperature before storing it in the refrigerator. I found this recipe on the website www.informationaboutdiabetes.com and adapted it for our family's needs and wishes. 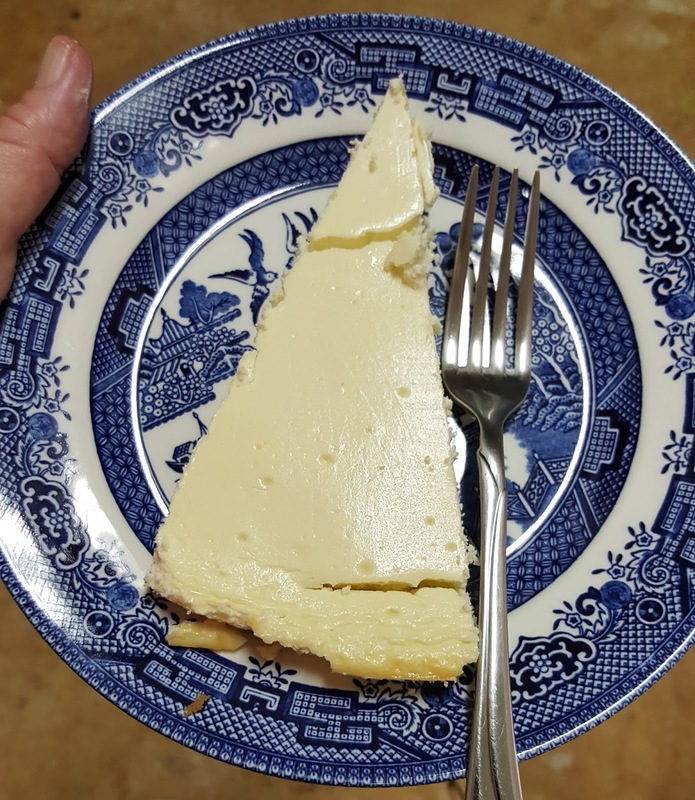 The taste is tangy and cheesy, with a slightly crumbly crust. 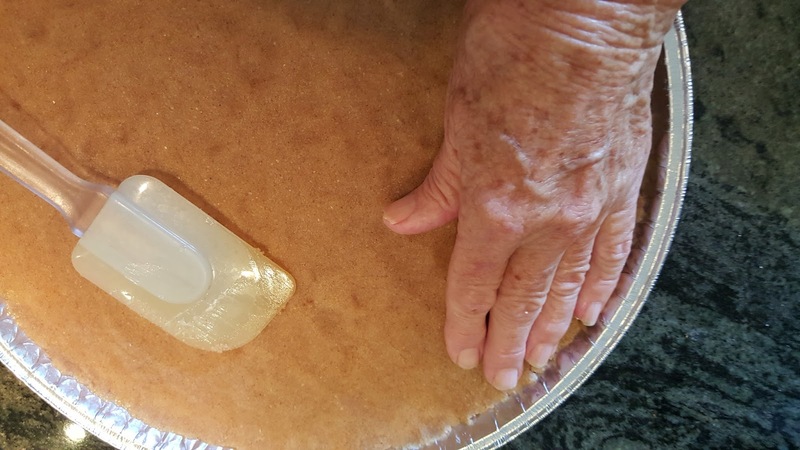 The 13-inch diameter disposable tray was a little too shallow and very much too frail for a baked tart. The next time I made it, I baked it in a 10-inch pyrex dish, which was much easier to manage.